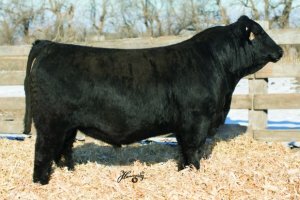 � Sure fire calving ease bull! First 21 calves out of heifers averaged 68 pounds. � Powerfully deep bodied and big ribbed bull with a super, quiet disposition. 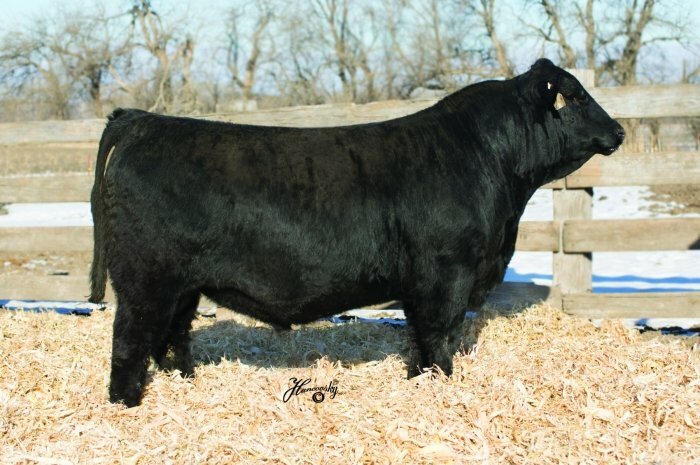 � Perfect uddered dam has a 105 WW Ratio on her first 3 calves and grandma has 7@107 Ratio. � Top 1$ CW, top 2% $API.